Q: I have used only the position control mode only in the servo drive. Can anyone please explain me about speed/velocity control mode in the servo drive, like for the position control mode we will be giving pulse and direction from the external controller, likewise which thing we need to give for speed control mode? A: Position control in servo motor mean the motor will travel a defined position with some speed. In Position mode u can control both distance & speed by using controller. Position control is used in applications where more accuracy is needed. In Velocity control mode, the speed is controlled by controlling the voltage (0-10V) through external Pot. It is used in a place where controlling is Analog. For velocity control, you just need to induce an analog signal on the servo drives terminals, and also a zero input command for some brands. This is a lot easier than the position control mode. 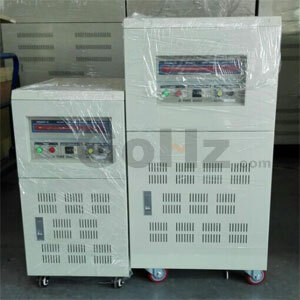 It's like treating it as an AC variable frequency drive (VFD), only that the servo motor responds more accurately on different speed commands. 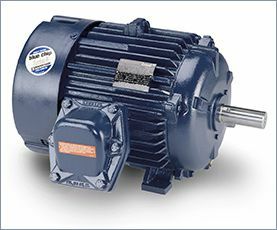 If you need to control the motor to run at a certain distance, then you need the position mode or the Full Closed Control mode of the servo drive. You may not need the speed control mode for this. You can just interface a VFD controller like ABB to your servo, and then create a ladder or FBD program for any PLC to give different accurate constant frequencies. And now for every VFD digital input, you get a different servo velocity/speed. In Servo Drive, there is a parameter for selecting one of following option. When speed and position mode is selected the speed to position control mode can be switched any time by drive input controlled externally. Speed mode is typically for raising the drive up to a desired speed and then controlling the drive around that speed. 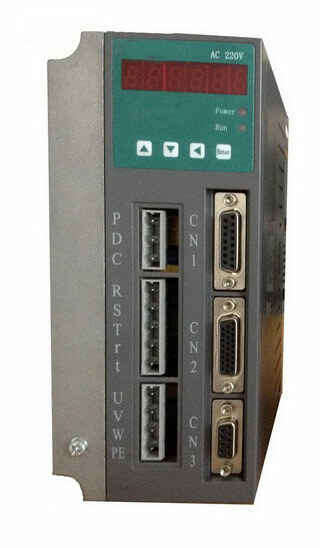 You can program a PLC to interface with the drive and write an analog signal to the drive. Another alternative is to write a value to a modbus register for speed in the drive controller. If you want Position control also, just write a value for your desired position. But be careful how fast you tell the drive to run if you don't need to go very far with it. I always use the PLC to control the motion on servo. I make a "Learn speed" subprogram that basically remembers the time from A to B and becomes a reference in the main program. For a process that requires variable speed execution (example the main bottle conveyor changes speed, and I need to adapt to that change) I use a master and slave algorithm to synchronies the process. Speed and position control could also be via opto-electric controls, or encoders, used for example in elevator control to accelerate and decelerate, and then position the floor precisely when stopping. They are called rotary or incremental encoders, and are capable of other drive control applications. I HAVE SAME QUESTION AND I GOT THE ANSWER BUT WHERE SHOULD I CONNECT THAT EXTERNAL POT TO DRIVE.PLEASE SPECIFY I'M USING AC SERVO DRIVE OF DELTA MAKE.